Michael Beard is a Nobel prize-winning physicist whose best work is behind him. Trading on his reputation, he speaks for enormous fees and half-heartedly heads a government-backed initiative tackling global warming. A compulsive womaniser, Beard finds his fifth marriage floundering. But this time it is different. Michael Beard is a Nobel prize-winning physicist whose best work is behind him. Trading on his reputation, he speaks for enormous fees, lends his name to the letterheads of renowned scientific institutions and half-heartedly heads a government-backed initiative tackling global warming. A compulsive womaniser, Beard finds his fifth marriage floundering. But this time it is different: she is having the affair, and he is still in love with her. When Beard's professional and personal worlds collide in a freak accident, an opportunity presents itself for Beard to extricate himself from his marital mess, reinvigorate his career and save the world from environmental disaster. 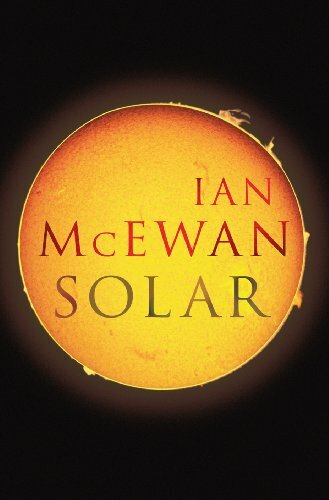 Ranging from the Arctic Circle to the deserts of New Mexico, "Solar" is a serious and darkly satirical novel, showing human frailty struggling with the most pressing and complex problem of our time. A story of one man's greed and self-deception, it is a profound and stylish new work from one of the world's great writers.